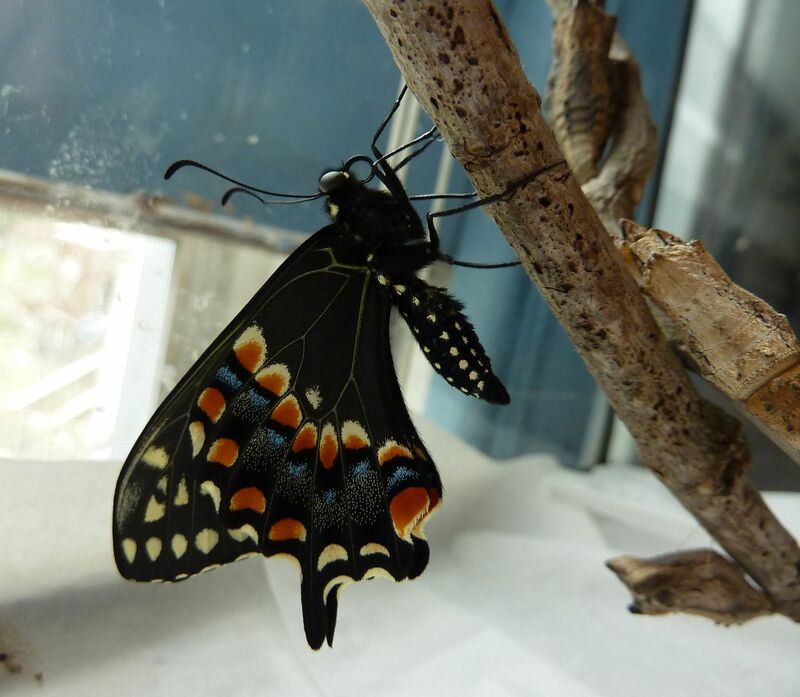 The third Eastern Black Swallowtail emerged today. And unlike the second, his wings are perfect. I've since lined the bottom of the tank with tissue paper. While it felt clean to me, the second one's wings were apparently delicate enough to still get stuck on the trace amounts of stickiness. His wings were so messed up that he wouldn't stop trying to flap them and tragically he ran out of energy by the second morning. I'll be feeding him room temperature Gatorade, once it gets to be room temperature that is. And hopefully this one will live long enough for me to release him into the wild. It's going to storm here later today and possibly tomorrow morning so hopefully he doesn't mind being cooped up a day or two.